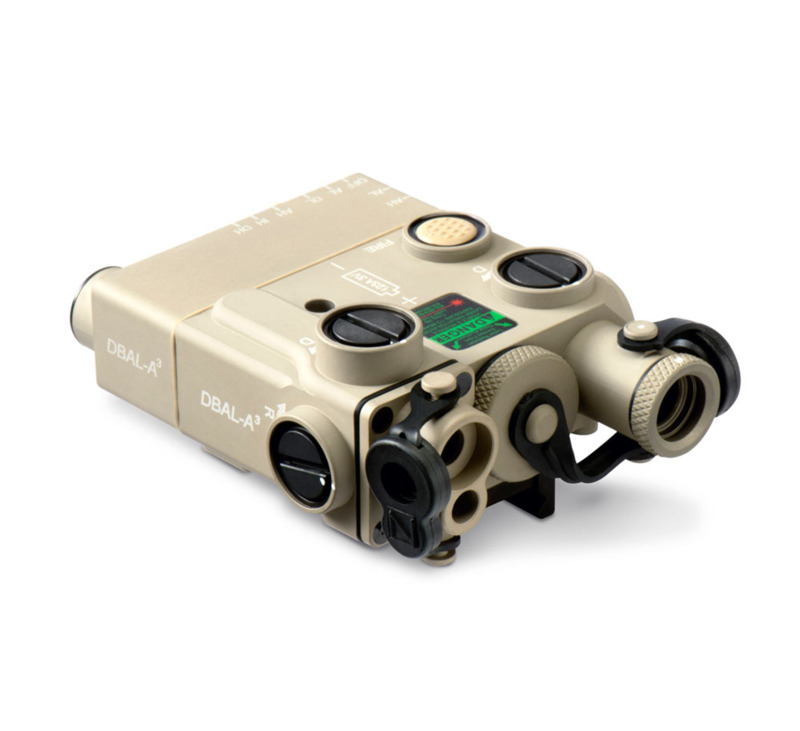 The Dual Beam Aiming Laser DBAL-A3 class 1/3R Civilian, based on the standard issue DBAL-A3, brings the latest advances in IR and laser technology to the civilian market with its dual beam reliability for extreme accuracy in low- and no-light maneuvers. 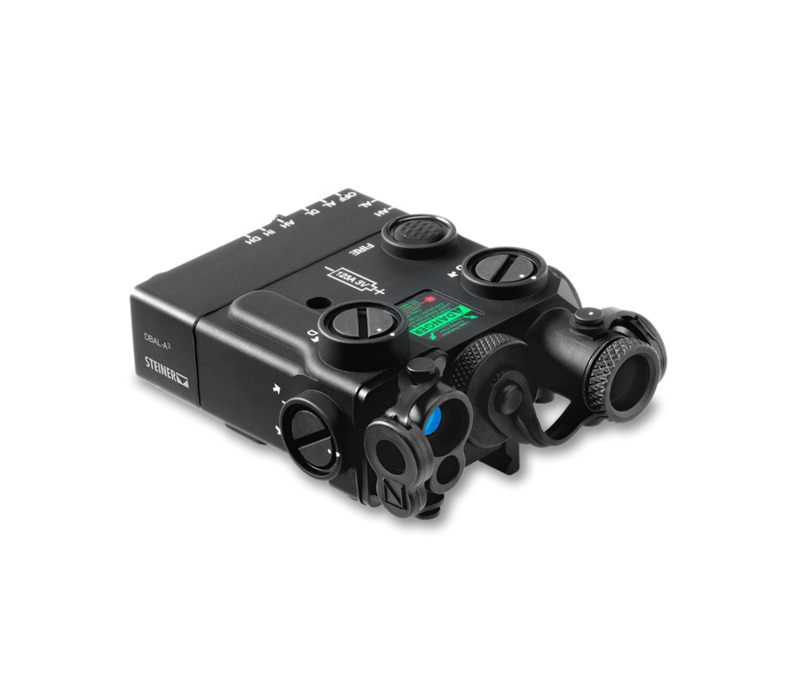 In addition, the DBAL-A3 is the first to feature new defocused adjustable IR illumination technology to enable both midrange and close quarter target acquisition. • Mounting holes for a flip-up front sight, sub-miniature red dot sight or a MIL-SPEC-1913 top rail. 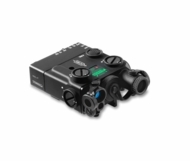 • The Steiner eOptics Dual Beam Aiming Laser, or DBAL series, is the choice of military units worldwide. • Weight (with battery): 8 oz.